EMPLOYERS NOTE: SUPERSTREAM, SAVE UP TO 70% OF THE TIME YOU SPEND ON SUPER! For Employers SuperStream becomes compulsory on 30 June – that’s only two quarters away! Don’t leave it till the last minute to make the change. As a standard way of processing superannuation payments electronically for employers, SuperStream takes only a short time to set up, but employers who have crossed over report an average of 70 % reduction in time spent on super. An important part of SuperStream preparation is collecting your employees’ TFNs and their funds’ unique super identifiers (USIs) and entering it into your system ahead of the quarterly due date. The December quarter due date is 28 January. We recommend that you implement the system this quarter so that it gives you time to check that things are running smoothly before the deadline. Use the Employer checklist for step-by-step instructions at this link. 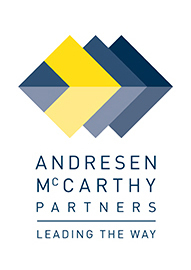 Or talk to us at Andresen McCarthy Partners. We’d love to help.